While some may live to eat, we all need to eat in order to live. Jesus asks us to eat with him – for a life of fullness. Come hear what this means and how it can transform your life. Rev Jenni Ho-Huan is city-pastor, author and podcast host of The Cathedral Podcast. She works with her husband Philip to sharpen leadership and strengthen church health through their work at ChurchLife Resources. She is passionate about an authentic faith and honest conversations. Her favourite job is being mother to her two mighty teenagers and a cat. 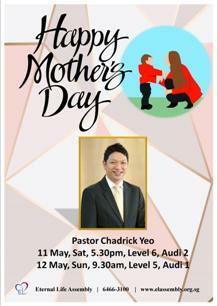 Join us for your personal life-changing encounter with the RISEN JESUS. *Please note that there is no service on Saturday, 20 April 2019. 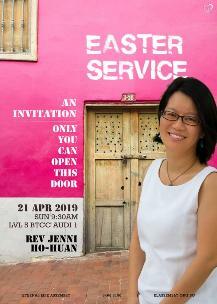 Rev Jenni Ho-Huan was raised and ordained in the Presbyterian Church. Her desire is to live with authenticity and help others develop a vibrant faith-life in their particular circumstances and personalities through developing a strong inner life. Her passion is Spiritual Formation, Family-Life, Women’s’ Ministry & developing the Inner-Life of Leaders. An avid writer, Jenni was columnist for Impact magazine; and has authored three books and blogs. Jenni holds a Bachelor of Arts (NUS), Masters of Divinity and a Masters of Theology (Trinity Theological College). 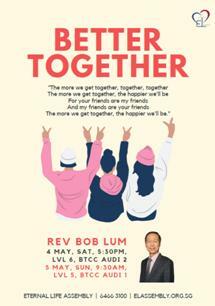 She is married to Rev Dr Philip Huan who is raised and ordained by the Methodist Church. Together they founded ChurchLife Resources that has ministered to churches in various ways.